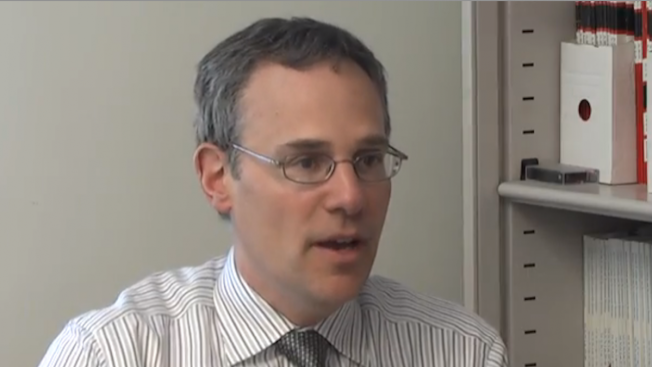 Dr. Nathan Blum, a behavioral pediatrician at Children's Hospital of Philadelphia. This is the third of a four-part Germantown Beat series on the "child-care crisis in Philadelphia." Child-development experts may disagree about the best way to raise children, but they all agree on one thing: Quality care and education during the early years are critical to success in school and in later life. "High-quality early-childhood education is one of the most cost-effective ways to improve long-term outcomes for children," said Dr. Nathan Blum, a behavioral pediatrician at Children's Hospital of Philadelphia. Blum is among a growing number of pediatricians and other medical experts shining a spotlight on the need for high-quality, affordable day care as important for the healthy development of all children, but especially for those from low-income neighborhoods. In Philadelphia, the poorest among the nation's 10 largest cities, 39 percent of all children live below the poverty line. Most of them, state reports show, do not have access to high-quality day care. In Germantown, which has some 92 day care centers, more than any other neighborhood of the city, just three of these centers enjoy the state's highest rating for quality. "Particularly for those [children] who grow up in stressful environments or those with a single parent, there may be financial stress, the parent may not be there all the time or working two jobs," Blum said. "The more of those situations, the more important early childhood education is for them." Fifty years ago, the topic of quality day care rarely entered the conversation in a pediatrician's office. Most children were taken care of by stay-at-home moms. However, as women moved into the workforce in large numbers, the need for day care swelled. Welfare reform in the mid-1990s made day care a necessity for tens of thousands of single mothers on public assistance, who were suddenly required to get job training and to work. While theories of child development go back at least as far as the ancient Greeks, it's only been in recent years that advances in neuroscience have illuminated what's actually happening in the human brain during the early years of life. These findings, in turn, have made doctors more aware of the critical role that high-quality day care can play in shaping healthy child development. Between birth and five years of age, a child's brain is a hub of breathtaking changes. Among them are gaining enough trust to establish an emotional attachment to the primary caregiver; recognizing his or her own name; being able to recognize facial expressions; learning words and linguistic patterns; learning to walk; learning to make mistakes and not be ashamed; experiencing compassion and developing the ability to express compassion; learning to play with other children and to share. Blum and other medical experts say that quality day care can play a pivotal role in helping children achieve these and other developmental mileposts, with important consequences for both the child and for society. Less likely to be convicted of a crime and go to prison. Blum, who earned his medical degree at Johns Hopkins University, called it "pretty dramatic" to realize that quality day care during the first five years of life could have so many long-term benefits for children. It's not just children who benefit; it's also society as a whole. James Heckman, a Nobel Laureate economist at the University of Chicago and a leading proponent of early childhood education, estimates that every dollar invested in early childhood education for disadvantaged children results in a 7 percent to 10 percent return for society — less taxpayer money spent on prisons, unemployment benefits, health care and other costly items. Blum and other experts say that many factors go into making a quality day care program. These include meeting basic health and safety standards, a low teacher/child ratio, well-trained staff, an abundance of toys and books, opportunities for play (especially outdoors) and parental involvement. These are among the standards used by Pennsylvania's Keystone STAR system to rate the quality of early childhood education programs across the state. While experts like Blum laud the effort, they also encourage parents to visit facilities and see for themselves what goes on before signing on the dotted line. Among the things to look for, experts say, are a clean, safe environment; proper toys and soft spaces and a well-trained staff willing to answer questions. What's the single most important thing? "Instructors who understand child development," Blum said. Matthew Judge is a La Salle University student who writes for GermantownBeat, a local student-produced news site. NewsWorks features articles from GermantownBeat on its Northwest Philadelphia community sites and contributes multimedia journalism training to the program. Bernadette Stanko, Kristen Craig and Alexandria Sabo also contributed reporting for this story.